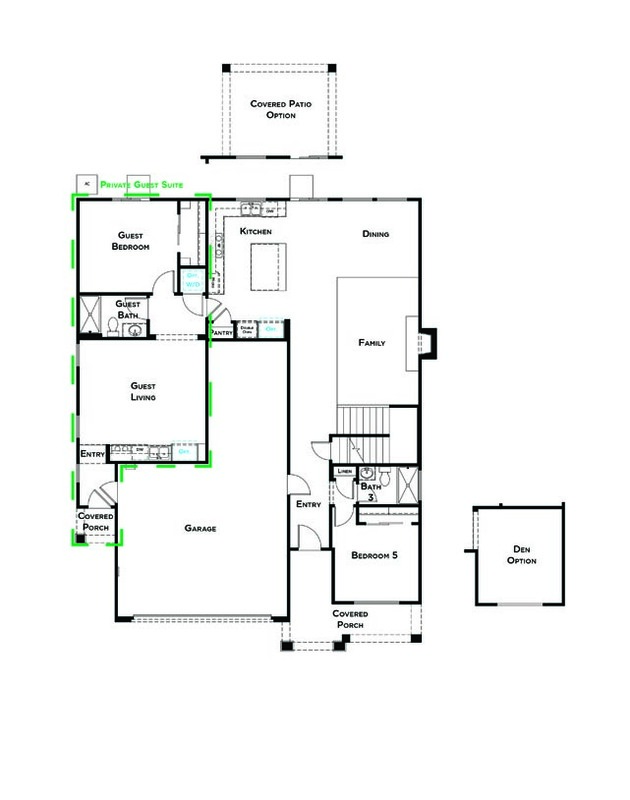 A 3,131 square foot two-story home with six bedrooms and four bathrooms, Residence 1 includes a separate guest suite. 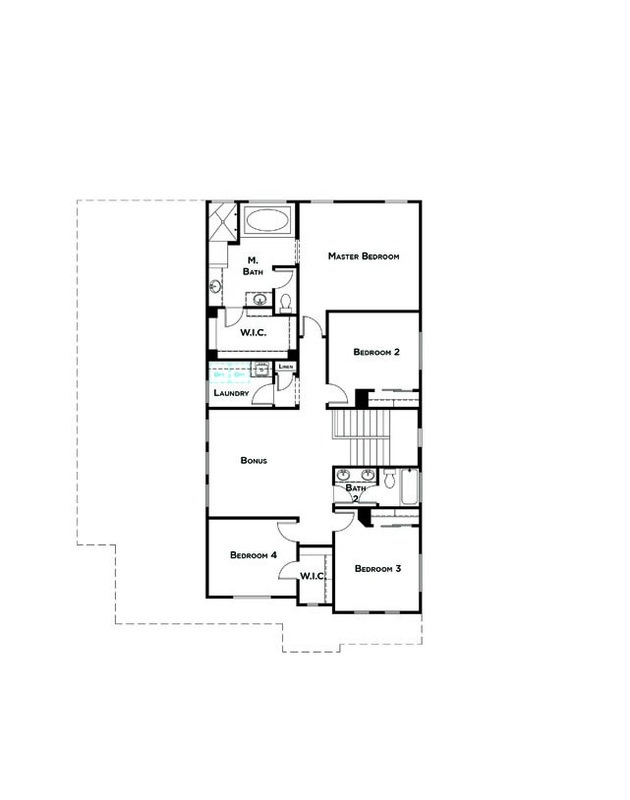 This separate living space has a separate entrance and one bedroom, one bathroom and a full kitchen. The extra space makes sense for long-term guests, boomerang children, grandma or grandpa or even a live-in caregiver. It can either be open to the rest of the home or locked for more privacy.